Purchasing a new car is a thrilling process. You can’t wait to hit the street rolling on your new-to-you wheels, but should you buy new or used? If this is your first time purchasing you may be overwhelmed by the wide range of car options to choose from in both fields. Once you have decided on a make and model of car, it is best to look for used options in your area first. 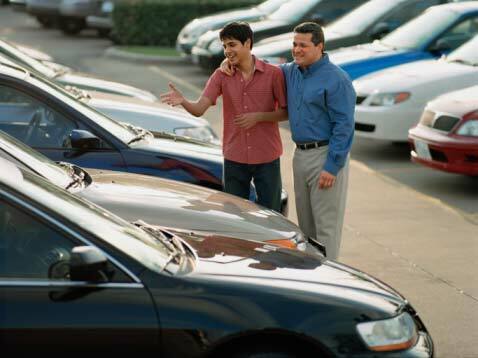 Used vehicles are often the best choice, and included here are a few reasons why. Everyone knows that brand new items tend to lose value immediately after purchasing and this is applicable more than ever with vehicles. Most vehicles lose 20% of their value just by driving them off the lot and lose an additional 10% in their first year. This means, you could be buying a $30,000 car that will be worth only $21,000 after one year. Save yourself the depreciation dent and buy a one-year-old car used. Buying a car is a significant expenditure, even more so when you factor in the expense of taxes and registration following the purchase. One way to save your dollars on that transaction is to buy a used vehicle for less. Considering that a one-year old $30,000 car will cost you only $21,000 used you will be able to save a big percentage on registration fees. It makes sense that a car that is worth less will have a smaller insurance premium. So buying a used car that has a lower value than a brand new one can save you on monthly and yearly insurance payments. Not to mention, as soon as the car is paid off, you can decrease the coverage on your car, and as it ages you may be able to do away with the collision and theft clauses completely. Vehicles that came out this year may not have that big of improvements from last year’s model. This means you can purchase a car that is two or three years old and see very small differences from the newest models. You also may not be able to afford a 2015 luxury vehicle, but a 2013 may be in just the right price range for you. Many people are afraid of buying used because they believe they are inheriting someone else’s car problems, however, this can easily be avoided today. With handy websites like Carfax or Kelly Blue Book you can find out exactly how much that car is actually worth before purchasing and know its history of accidents. Not to mention, many dealers will even offer a warranty or guarantee on their used cars, so you can have the same peace of mind you would get with a brand new vehicle.